This Friday, March 10, marks the first time that the general public can purchase single-game tickets and parking for the much anticipated Inaugural Season at SunTrust Park. The Braves open at their new home on Friday, April 14 against the San Diego Padres with an evening of unforgettable celebrations. These celebrations will continue throughout Opening Weekend, making each day a commemorative experience for fans. Single-game tickets will initially range from $5-$143 and may increase in price based on market demand. The sooner fans purchase single-game tickets, the lower the price they are able to lock in. Tickets can be purchased at www.Braves.com/tickets. Full and partial-season tickets, as well as 6-game plans, are also available for the 2017 season and are the best way for fans to guarantee their seats at SunTrust Park for Opening Weekend and beyond. For more information on how to become an A-List Member, visit www.Bravescom/alist. Also starting March 10, single-game parking will be available for purchase at www.Braves.com/tickets. All fans are strongly encouraged to purchase parking in advance, which allows them to utilize Waze and navigate directly to their respective parking lot. Fans will be able to choose from a host of parking lots distributed 360 degrees around SunTrust Park, with single-game parking prices ranging from $18-$23 for Braves-operated lots. Advance purchase also makes it easier for fans to find their respective lot, as the multitude of lots are located in various areas around the ballpark as opposed to one central location. All Braves-operated parking lots are within 15 minutes walking distance to SunTrust Park or serviced by a free shuttle offered by the Braves. Opening Weekend will feature pre and postgame concerts in the Plaza, special on-field ceremonies and flyovers, and during Sunday’s game the Braves will celebrate a special kids Opening Day. 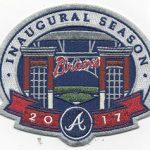 Throughout the 2017 season the Braves will have a gate giveaway every Friday, a theme night every Saturday and family activities scheduled every Sunday. 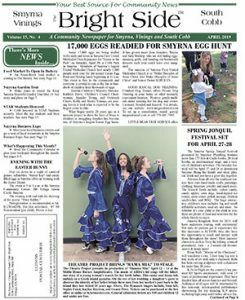 Special weekly events such as including Friday Night Fireworks presented by Georgia Lottery, Kids Run the Bases presented by Children’s Healthcare of Atlanta and Alumni Sundays presented by Hyundai will also take place during the 2017 season. In addition, fans can once again take advantage of special ticket packages and receive an item or experience as part of their trip to SunTrust Park. Ticket specials for the 2017 season will include Coca-Cola $12 Tuesdays when fans can sit in the Vista Reserved section for just $12, as well as College Night on Thursdays when college students receive $10 off seats in the Home Run Porch (with valid ID). Military discounts will also be available every home game, and include either $10 off seats in the Home Run Porch or 50% off seats in the Grandstand Reserved (with valid ID). The full promotional schedule for the 2017 season can be found at www.Braves.com/promotions.